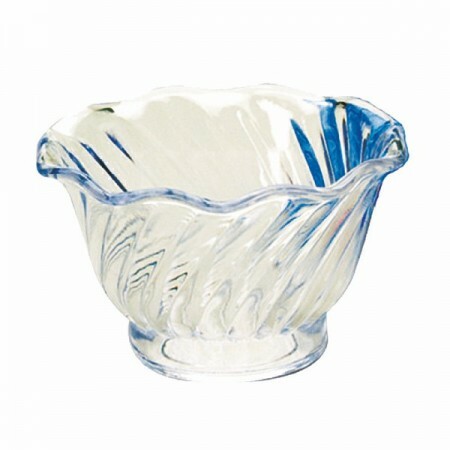 Use the Thunder Group PLDS005 Plastic Dessert Dish 5 oz. for serving ice cream and other desserts. Featuring a curved rim and beautifully accented with swirling lines down its sides, this dessert dish adds an elegant yet classic touch to any table setting. Thanks to its durable plastic construction, this break-resistant dessert dish is easy to clean and will withstand day-to-day use. 5 oz. - 8 oz.